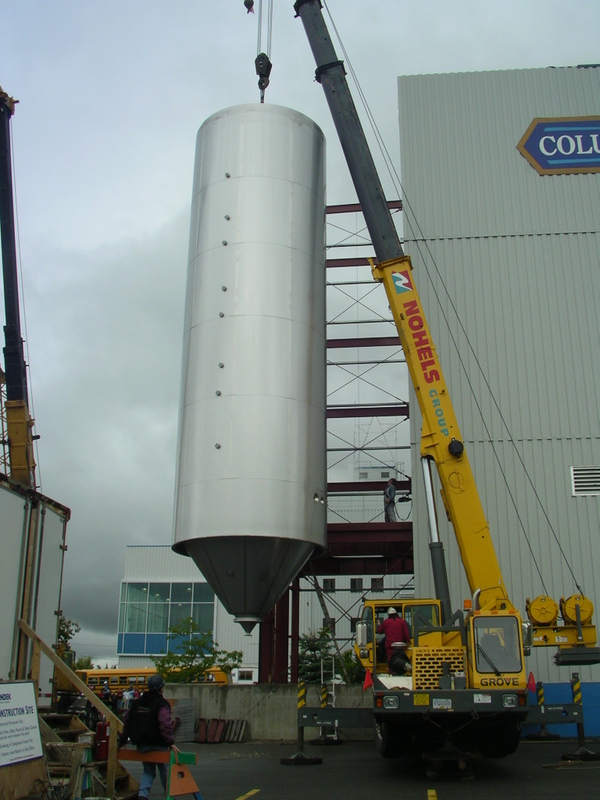 This project involved expanding the fermentation tank tower by approximately 350 sq. 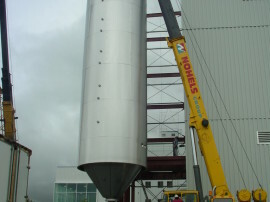 ft. and installing two new vertical fermentation tanks. 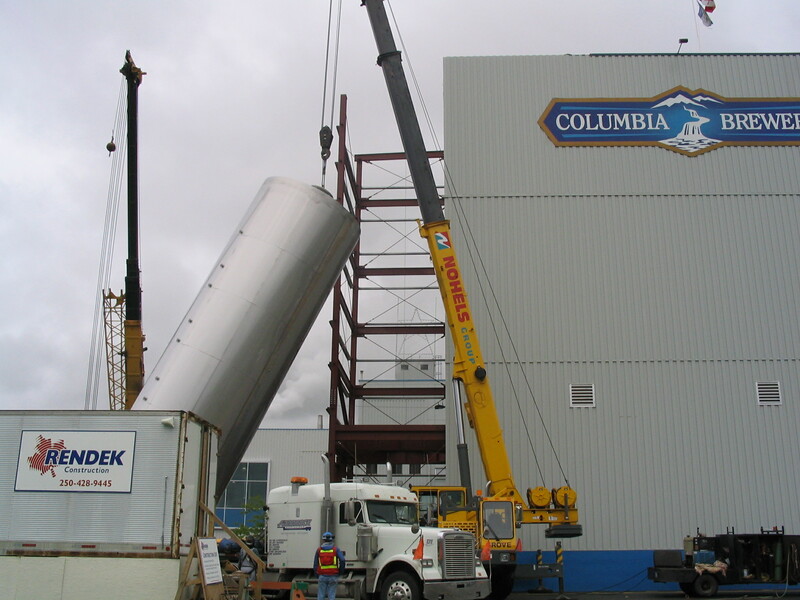 This included the removal of the west wall to facilitate the placement of one of the two new silos. The foundation consisted of a concrete reinforced raft foundation over cast-in-place concrete piles. 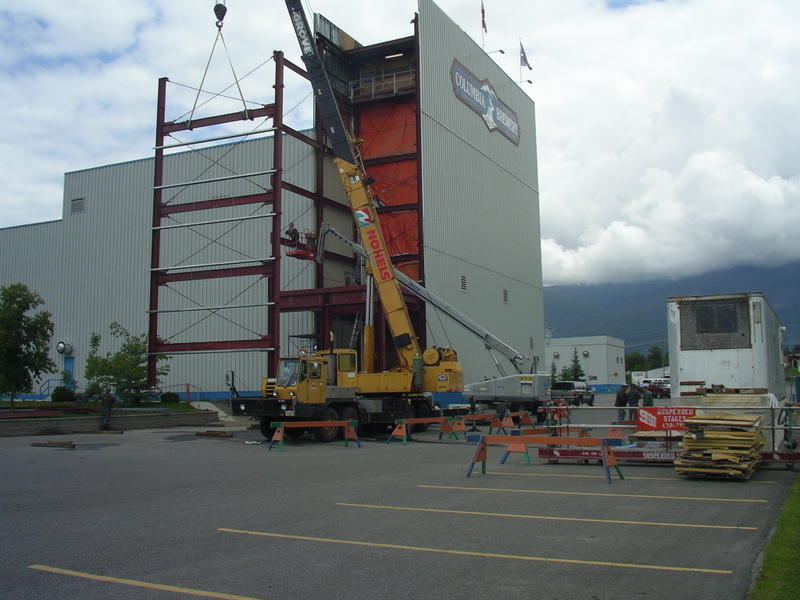 Structural steel framing was required to the tower height of 65′. The area of the addition was finished with matching insulated metal cladding. 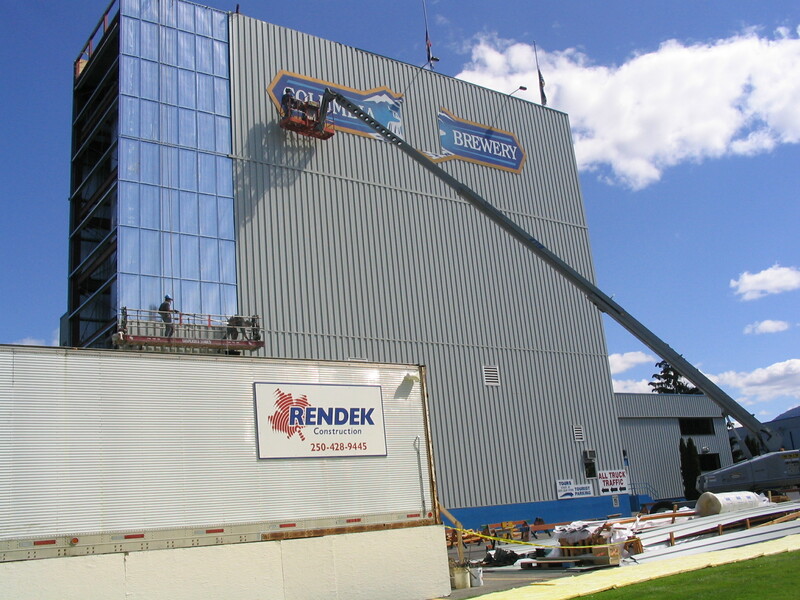 Extensive dustproofing was necessary to act as a barrier between ongoing operations during the construction period. Project was substantially completed seven weeks ahead of schedule with very minor deficiencies.